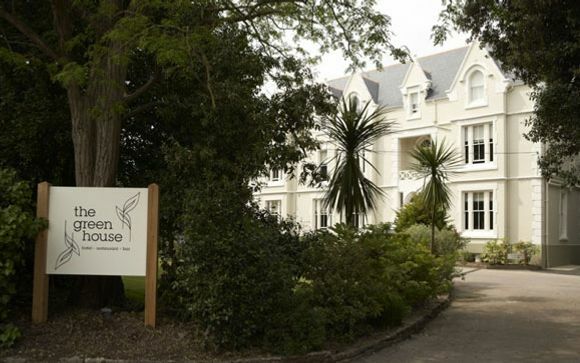 The award-winning Green House hotel is a beautiful boutique hotel in the heart of Bournemouth, marrying an appreciation of English culture and with a love of the Earth. Dine at the 2AA Rosette-awarded Arbor restaurant at The Green House Hotel, where our members will enjoy £40 dinner credit! You will stay in a Large Double Room; stay for 2 nights and benefit from an Afternoon tea for 2 with glass of local sparkling wine each on arrival! The Green House is located in the heart of Bournemouth and is amongst beautiful manicured gardens and tall evergreens which create an atmosphere of peace and privacy. 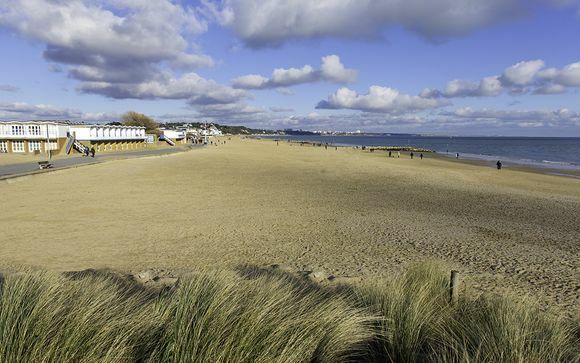 The hotel is just a short walk to the beach and the town centre and the railway station is less than a mile away. There is plenty in the area to keep you busy with Bournemouth centre offering a variety of shops, restaurants and nightlife. Enjoy the stunning views, flora and fauna or head over to Brownsea Island which is only a short ferry ride away. With an ideal location to take in the beauty of nature for a peaceful respite, and strategically placed to explore the surrounding area, you will find countless options to spend the time in this English coastal retreat. This award winning hotel prides itself in being a stylish, eco friendly boutique hotel with no corners cut to ensure you the most comfortable, relaxing and refreshing stay. The warming, soft colours and textures of the furnishings and fabrics give the hotel a cosy and friendly atmosphere to help you feel completely comfortable. The hotel opened in April 2010 to rave reviews and in November 2010 was named ‘Small Hotel of the Year’ at the Bournemouth Tourism Awards. With a charming atmosphere, inviting decor, and gourmet dining options, it is an ideal destination for some coastal charm. 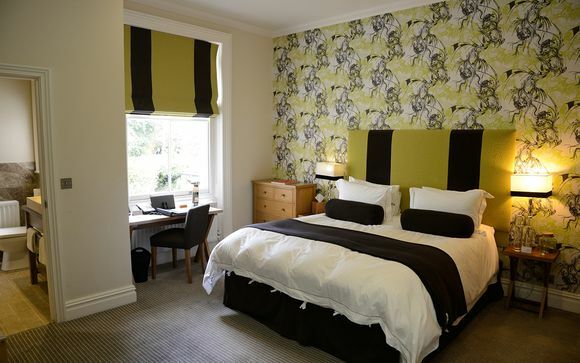 This offer is based on a stay in a Large Double Room. The hotel’s double rooms are beautifully furnished. All have a King size bed, 32” LED flat screen TV, Bose sound dock, luxurious goose down duvets and crisp white organic bed linen. The bathrooms have natural stone basins, walk in showers and luxury toiletries. Arbor is the newest 2 AA Rosette awarded Restaurant to Bournemouth. Menus change seasonally to ensure only the best of what is local and sustainable is used. Here you can find well-cooked, honest, uncomplicated but imaginative food. The team of chefs, led by Andy Hilton, are passionate about sourcing both classic and new ingredients straight from the farm gate and fresh off the trawlers. 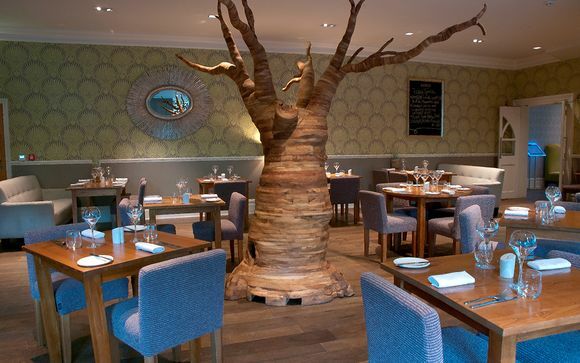 It is no surprise why this hotel has won the Dorset Tourism Award for best restaurant. Daily deliveries of fresh, local ingredients come from England's nearby garden counties - Dorset, Hampshire and Wiltshire. These include the best meat, vegetables, and dairy products. Enjoying a prime location on the south coast, the Arbor Restaurant maintains a close relationship with local fish and shellfish suppliers. Your dining experience here will be absolutely exquisite. Only the finest ingredients are used to create the most superb and flavoursome blends to satiate your pallet and the restaurant’s décor follows the theme of the hotel – elegant with touches of Victorian furnishings. Most of the breakfast ingredients are sourced from the New Forest from small suppliers that have been approved with the New Forest Marque. The hotel is located in central Bournemouth: from city centre follow Bath Road to St Peters roundabout and take 4th exit onto Grove Road. From travel interchange, A338 and A35 follow Holdenhurst Road onto Bath Road and take 2nd exit from St Peters roundabout onto Grove road. The Bournemouth Central station is 0.8 miles from the hotel.